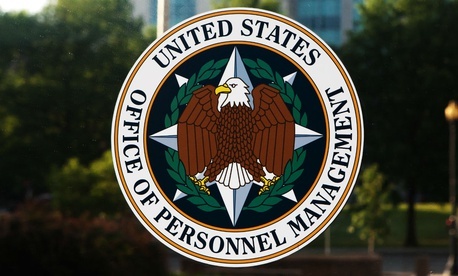 Employees at the Office of Personnel Management appeared glum on this rainy, gray Friday, the day after the Trump administration unveiled a wide-reaching reorganization plan that would slice OPM into pieces. In lunch hour on-the-street interviews with Government Executive, the few who agreed to speak said many employees were worried about the plan that calls for transferring OPM’s security clearance functions to the Pentagon, its insurance and retirement benefits services to the General Services Administration, and its employee services functions to political appointees at the White House. “From their facial expressions and body language, I could tell people were upset,” said one. This employee approved of some of the plan’s streamlining ideas, particularly in reducing information technology redundancies. “But we don’t need GSA to take this on,” she said. Though several who spoke doubted all employees had read the plan, one said, “I looked at it, we all did, but I’m just trying to keep my head down because you hear so much” about what could happen. “When it happens, tell me,” he said. Though some 15 passersby were approached on the public sidewalk at 1900 E Street Northwest in front of OPM’s Washington headquarters, most declined to speak, some dutifully referring the reporter to the communications office. “Absolutely not,” said one. “It’s not the greatest time for me to be talking” to a reporter, said another. Soon a security guard emerged to obtain the reporter’s identity, but all parties remained civil. Next Post | Prez to Press: Is Reorganizing Government ‘Extraordinarily Boring’?